It’s Wednesday and Day 23 of our challenge. We are nearing the end of the month but don’t give up, we have some amazing prizes coming! Did you enter the Photo contest yet? Yesterday’s workout was cardio and weights at the gym. When I got there at 5AM is was a little busier than normal, no stair stepper available (oh, darn!) so I got 5 minutes on the elliptical and then 20 minutes on the stair stepper. 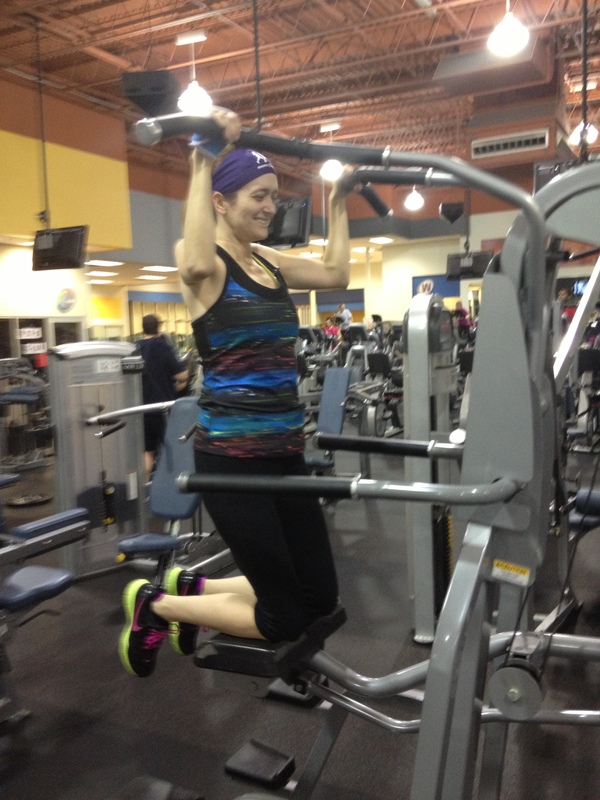 I tried a new pull up machine, here’s a lovely 5AM, no makeup picture of me! Today we have one pair of Pro Compression socks to give away! Pro Compression is offering the winner their choice of size and color in the Marathon graduated compression sock, depending on availability. The giveaway is only open today until 10:00PM CST today. Sorry, it’s open to US Residents only. 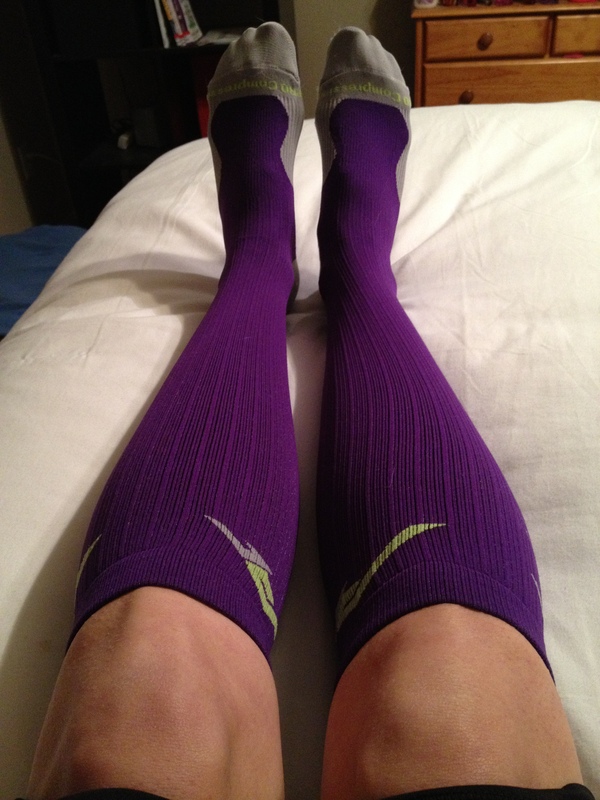 I got a pair of purple Pro Compression socks and I love them! I love anything purple these days but these socks are becoming my favorite. They come up high, don’t fall down and are just really comfortable. I’ve talked about the benefits of compression gear before so I won’t bore you with those details again. I wear these to run and I wear them post run for recovery. (don’t mind my knees!) And I love the extra layer running in the cold weather! Check out their line and let me know which socks and what color you’d like to try! To enter to win the ProCompression socks just click the Rafflecopter link below. 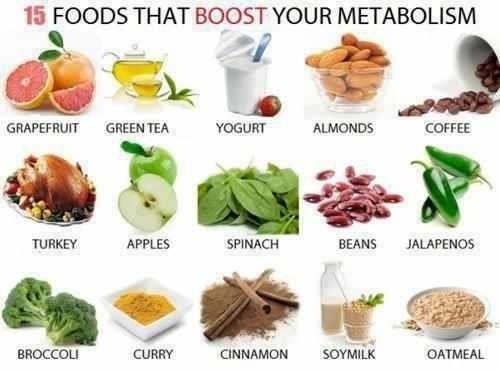 Did you know these foods help boost metabolism? *I was provided a complimentary pair of ProCompression socks. All opinions expressed are my own. This entry was posted in Uncategorized and tagged #30dayhomies, how my world runs, pro compression, procompression, review, running. Bookmark the permalink. I think I would like to rock some yellow socks. I would love yellow, neon green or purple socks! Full socks in lime green! I’m thinking I’d like sunshine yellow or something with a fun pattern. I think I’d like either Purple or Lime Green! Love Compression socks. I’d try the orange! I’m also hosting a Pro Compression giveaway- Almost over, hop over to try a pair for yourself!!!! Thanks Debbie! I’m following your blog now. Anything pink, or white but I do love the purple as well so I will be thrilled with that one too. Week 3 of my running program and I have to tell you – I thought it would get easier but its still hard. I am waiting for the day that I can just go and it will be easy but that day has not arrived yet. Saturday is the Legoland Run and Kyla and I are both excited…. I even went and bought a new outfit. Yes I know very silly but it is helping me with my new adventure. It’s totally not silly to buy a new running outfit! I love it!